Thank you all for the endorsements and continued support, really appreciated. Q: Can I use just the textures or do I need to have the esp enabled and meshes? A: Yes, you can use the textures only, textures with this meshes or the whole thing with .esp enabled if you want General Carius set. The textures have been made to look good either way. 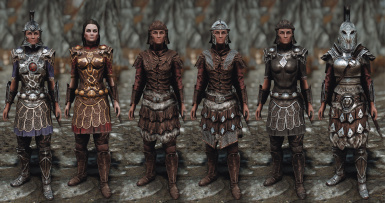 Q: Can I use this textures with other mesh replacers like Practical Female Armors, Improved Closefaced helmets, CBBE, etc? A: Yes, it is compatible. Just ensure that the meshes you want to have ingame are installed afterwards. Those meshes likely won't use enviroment mapping though, the textures have been made to look good that way but if you want to fully utilize the mod you could have the next question now. Q: If I'm using meshes from a replacer, how do I enable enviroment mapping? Open the meshes included in this mod and your replacer side by side. Expand the tree as needed and locate the "BSLightingShaderProperty" nodes of the armor parts, not the body parts. Then expand it's children node "BSShaderTextureSet" and make sure all the paths match. Be careful with the slot the paths go. Hi! this is the single best retex I've seen. Thx so much! 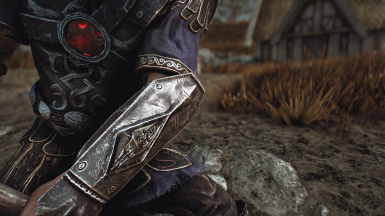 Any chance we could get gloves on the gauntlets to create that perfect winter look along with the sleeves and pants? Thanks! 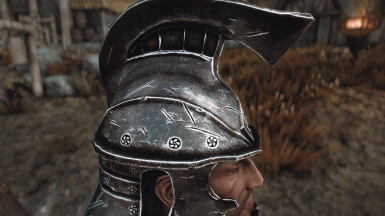 Is this compatible with Perfect Legionnaire - Imperial Armor Reforged? I took a look at the main Perfect Legionnaire file. It would appear you will have some conflicts. That being said, at first glance it appears PL is using the normal naming/file path format. If you're familiar with how to use replacers, you may be able to use the parts you want from each mod, by avoiding the .esp(s) and using both sets of files as replacers. You will need to be careful, though, with which textures go to which meshes, but it can be done. Click on the author's name and go to their files tab. 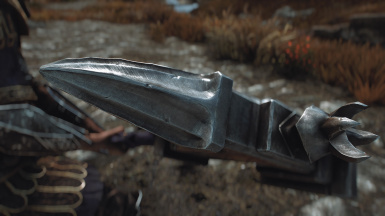 Change it from Skyrim Special Edition to Skyrim, what we now affectionately call "Oldrim." 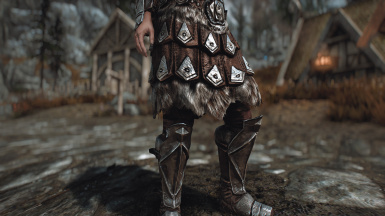 You should find a Stormcloak/guard retexture in there, which works fine in SE. I'm using it now. 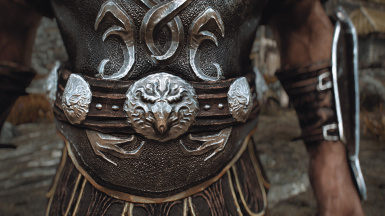 I just wanted to weigh in and state that I feel this is the single best Imperial texture overhaul on the Nexus. Top to bottom work, including weapons, pants and sleeves (which should have been vanilla) and even bonuses like Leanwolf's compatibility direct from the author?! Amazing, simply incredible, my eternal thanks for your continued support and release of your textures. Endorsed and Kudos given. 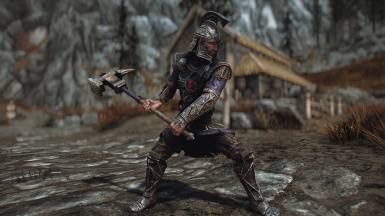 For vanilla weapons, would there be any retexture mod on the nexus you'd recommend? 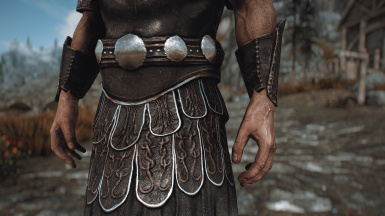 Search on oldrim, textures should work directly in sse and there's more. 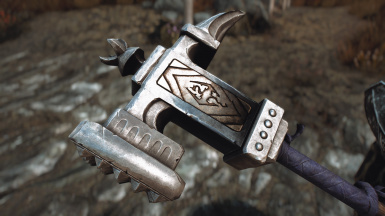 I've always liked this one for steel and iron: https://www.nexusmods.com/skyrim/mods/1754? Anything by CaBaL120 or Gamwich but not many weapons there. There's really not that many for weapons, besides recolors and such stuff. Leanwolf's is an amazing mod, but it's a mesh mod, not a texture mod. It will, however, work with whatever textures would work with vanilla, so you can have the best of both worlds. 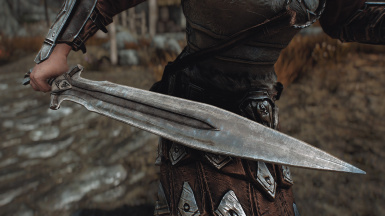 If I'm not mistaken, the Imperial sword in this mod is Frank's texture on Leanwolf's mesh. Cathedral Concept WAC has good retextures. Question, does this alter in any way the Imperial Knight armor from Immersive Armors because I just so happen to have a certain Imperial armory retexture mod from a mod maker named "LupusHegemonia" or LH for short and their mod used to cover all the armors in vanilla including the Imperial Knight (and maybe Heroic Imperial, I'm not sure about that one) if IA is installed. 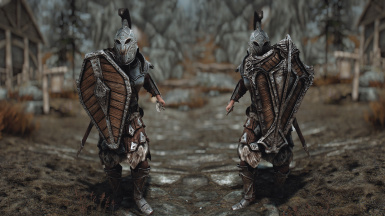 I'd really want to add this to my list but I don't really want to make the Imperial Knight set look off compared to the other sets of Imperial armor and I don't want to disable or delete LH's mod because you can't really get that mod anywhere now these days for some reason. 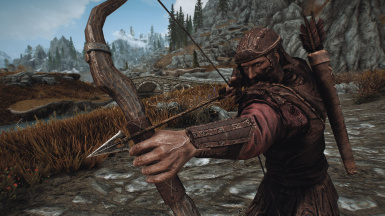 Don't forget you can copy a mod and paste it into a safe storage folder, elsewhere on your PC. I try to keep a backup copy of every mod I download, just in case I need to revert to an earlier version or something. 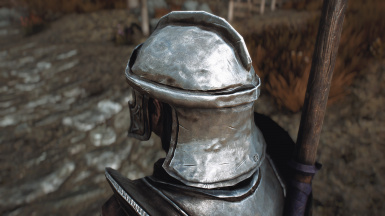 I don't know about the Imperial Knight from Immersive Armors, but I have had experience with some retextures changing portions of Immersive armor mods. 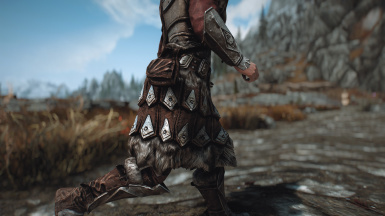 I took the fur off the Archmage's robes and IA users then had fur missing from the collar of an armor set, which happened to use a piece of the Archmage Robes to make it. You would have to test to see if it changes anything and, if so, if you can tolerate the change. 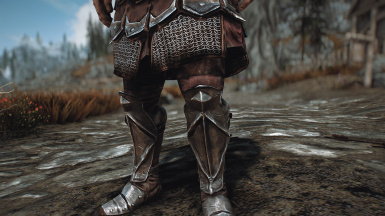 Instead of installing the .esp version of this mod right away, try just installing the textures as a replacer, then get hold of the Imperial Knight armor and see if it looks ok. If it doesn't, you have some options. With a replacer, you can choose which textures to use, simply by pulling them back out of your data folder. With .esp versions, though, you can have complications, depending on whether the armor is addressed in the CK, and whether the CK points the Armor Addon form at a custom named mesh, or just uses the vanilla file path. 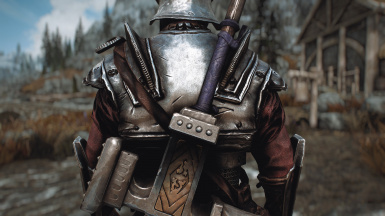 A better way to do that is to use Nifskope (Elianora has some tutorials on youtube, to cover this) to extract the vanilla texture in question, from your skyrim archives, give it a custom name, and make the modded armor use it instead of the vanilla file path. (ie: If this mod changes Imperial Knight armor in a way you don't like, extract the affected textures from vanilla, rename them, and make the Imperial Knight armor use them, and then enjoy that armor the way you like it while enjoying this new Imperial retexture as well.) Then you get the best of both worlds. Realistically, though, if this affects it at all, it's likely going to just make the Imperial Knight armor look even better. This is how you get pinkeye. 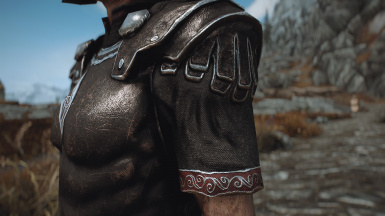 In my opinion, what's for Skyblivion is for Skyblivion. I modeled that armor following concept art provided by other members of the team and with a specific purpose. I don't consider it fair to release that by myself. 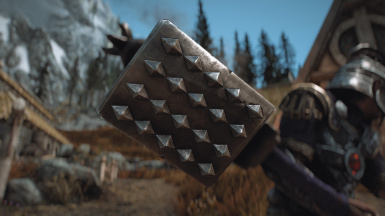 If the project itself were to release some content like weapons and armor before the whole thing is finished then that'd be very different from me releasing this one armor by myself. Oooo, I have yet to see it, but Mithril was my favorite armor in Oblivion. I can't wait to play Skyblivion anyway. Now I just have another reason.